The perfect partner for residential tilt doors Never has there been a batter solution to power tilt doors. 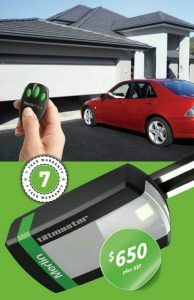 This quiet, energy efficient opener has the latest security and multi frequency remote technology. Designed specifically for tilt doors, Tiltmaster will also power sectional doors thanks to the variable speed function.